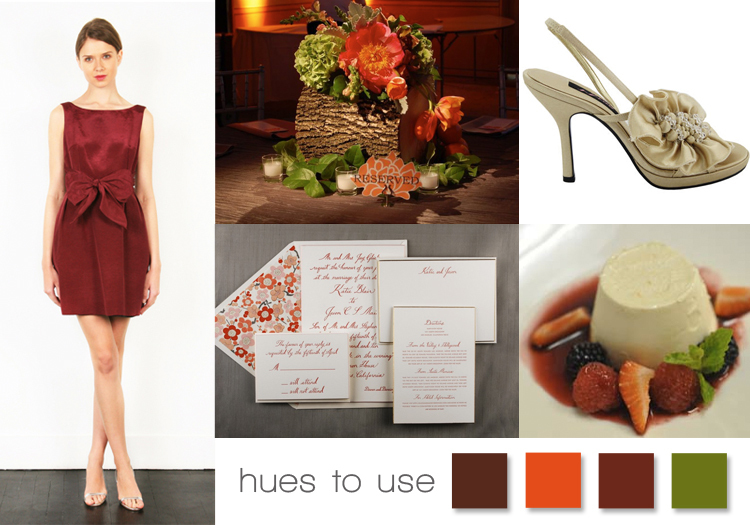 Spice up your winter wedding with this rich cranberry palette. Start with a sassy bridesmaids dress like this from Thread, found locally at Bella Bridesmaid in Dallas. The sweet bow detail and mini-length cocktail dress is sure to please your maids! Pair it with these adorable stilettos from Bliss Bridal Salon in Fort Worth. Invite your guests in style with bold patterned stationery from Bell’Invito Letterpress Studio found locally at The Bridal Salon at Stanley Korshak in Dallas. The vibrant patterned envelope insert and couture custom letterpress suite is sure to impress your guests. Why not serve this delectable dessert from Frosted Art Bakery in Dallas? The bold hues from the fresh fruit are perfectly paired with this elegant palette. Complete the look with these charming and rustic centerpieces from A Stylish Soiree. The vivid blooms add a touch of opulence to pull this soiree together! Ciao! « Previous Post: Holiday Savings!